Brian comes from a background of Sales & Sports Coaching with great success and enjoys spending time with family whilst exploring the beautiful sights New Zealand has to offer. Brian began his Real Estate career in 2005 which developed from a salesperson (reaching the top 21 at Century 21 New Zealand) to various roles including Sales Manager, Recruiting and Training Manager which included supervision of the trainee’s in completing their skills right through to achieving their salesperson licence. Brian was also the company auctioneer, he encouraged and developed the numerous auctioneers within the company. Brian is excited to be a part of the Tandem Group as a member of the Management Team and in particular, with the team at Whangaparaoa putting the customers first. A Hibiscus Coast local, Karl’s real estate career started when he was shoulder tapped by local agents at a young age. Karl hasn’t looked back since and after many years in the real estate industry, both as a multi-award winning salesperson and now business owner of six Harcourts offices in Orewa, Whangaparaoa, Silverdale, Warkworth, Snells Beach and Matakana, he still gets a thrill out of it. “Like most things in business, it comes down to trust as people want to do business with people they can rely on. Buying or selling a home is a very big deal for most people and we take that trust very seriously.” Tech savvy and with a strong passion for auction marketing, Karl is also the branch manager for the highly successful and energetic Silverdale sales team. Karl loves the outdoors and is involved in extreme off-roading, and when he’s not working or with his wife and two daughters, you’ll find Karl out on the trials or with his beloved Labrador on fishing and hunting expeditions throughout Northland. 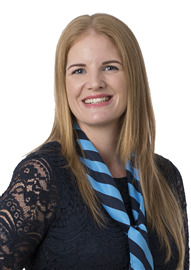 Libby has over ten years experience in a variety of property roles and she has a wide knowledge of property management. Libby is very client focused and strives to achieve the best results for her landlords while maintaining excellent relationships with her tenants. Having just been awarded Top Property Manager for Northern Region 2014 / 2015 Libby has the expertise to lead the Tandem team. Take advantage of Libby's experience to maximise your investment property. Allan and his family have lived on the coast for over 16 years, 13 years of that time were spent building up a successful business that covered the Rodney and the greater Auckland areas. Being in daily contact with a wide range of people has given Allan an excellent knowledge of the Rodney area and its residents, as a result he now knows and deals with a wide network of great people. 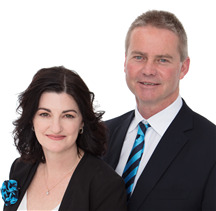 Allan and his wife Charlene work together at Harcourts, working as a team within a team offering a real estate experience of hard work and excellent customer service. Harcourts is different from other real estate companies, providing a strong team approach and working with proven processes that ultimately result in sales exceeding our client’s expectations. For service beyond the sale, let Allan and Charlene work with you in the real estate process. Consistently Providing Commitment, High quality Service and Results. My family and I have lived in New Zealand for 13 years, originally from Hungary. We love living in New Zealand specially in Hibiscus Coast. I have a background in Hospitality and Customer Service and have a passion for helping clients. I learnt over the years that everybody have different stage of life, and therefore different needs. I try to find what each individual want to achieve. My motto is to LIVE local Sell local. Having bought and sold property myself now it is time for me to help people to reach their goals, either your first home or investment, or upgrade to your dream home! I am located in the Manly office and look forward to helping you to achieve any of your Real Estate dreams. Call me today for a friendly no obligation free market appraisal. TESTIMONIALS Marta - February 2019 Andrea's focus is to provide you with a top class service. Whether you are buying or selling a home, you can be assured that your best interest will be her foremost priority and the service you will receive will be unrivalled. She understands that buying or selling a home is probably the largest transaction you will embark on in a lifetime and realises the stress and emotion involved. 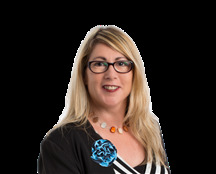 Living and working on Hibiscus Coast, she is the best advocate for your home and brings with her a wealth of knowledge of the local property market to share with you. Filled with energy and enthusiasm, Andrea is the ideal agent to entrust with your biggest asset and her goal is to achieve the best possible result for each and every one of you. Amanda - January 2019 Andrea is an enthusiastic agent with a passion for real estate. She has a great practical approach and local knowledge of the market she is working with. She will do her best to help and assist families moving forward. She doesn’t hesitate to seize opportunities. I would trust her to be a hard working and reliable agent to sell my home and a pleasure to deal with. Her innovative ideas are a breath of fresh air. With over 13 years sales and marketing experience, Bronwyn has an extensive knowledge base and a reputation for getting results, considering herself to be honest, ethical and offer faultless service. Bronwyn has also set up and owned for many years a very successful café/restaurant in Titirangi, so understands the importance of hard work and customer service. 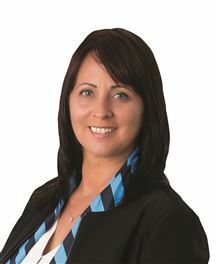 Many of her past and current clients will speak of Bronwyn’s thorough knowledge of real estate, her efficient and professional manner, her commitment to achieving the best possible outcomes for her clients, her enthusiasm for her work. “To me real estate is a partnership, it’s so much more than just selling a property, because of this I take the commitment of my clients very seriously and this is reflected in the time, energy and expertise I invest in every sale." 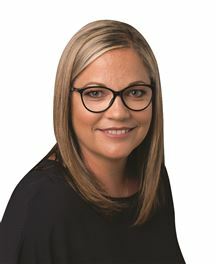 If you want a straight shooting agent with a fantastic array of marketing and technology tools with whom to discuss your real estate needs, then select Bronwyn Titchener to represent your best interests. For more information call Bronwyn today ! Charlene and her family have enjoyed the amazing beaches and community spirit of the Hibiscus Coast since moving here in 2003. Coming from a background in management, Charlene has a very strong work ethic and has been described by many as having a natural ability for bringing people together while demonstrating exceptional customer service skills. “The key is communication, keeping people fully informed” says Charlene. To provide a service that people will remember takes attention to detail, commitment to the process, a professional yet personal approach and above all great communication, all of which Charlene offers. Providing an outstanding service to both buyers and sellers is the sole focus for Charlene and she looks forward to working with you in the near future. “There is no greater thing you can do with your life and our work than follow your passions in a way that serves the world and you..” - Sir Richard Branson Utilizing highly developed interpersonal skills and the commercial acumen acquired through 20 years in the corporate sector, Chris has decided to pursue his passion for real estate within the area he has called home for over 15 years. Chris´ personable and professional character, his consistent can-do attitude and highly tuned work ethic, enables him to easily develop and maintain solid relationships. Chris is known among colleagues and associates for his vision, persistence, integrity, and down to earth nature. Clients who entrust their goals to this highly successful sales, business development and marketing professional can expect exceptional service and a consistently aligned focus on the desired outcome. “I am deeply bound by the complete satisfaction of my clients and their future prosperity. The professional skills I have acquired through my corporate career are completely reflective of the personal expectations my clients should have. As a vendor your objective is to maximize the sale price of your property and my role, as an experienced local agent, is to help you achieve that goal with as little stress as possible. Every property, every sale and every vendor is unique. I also value the importance of working closely with qualified buyers. I love every aspect of my chosen career”. Chris is a proud father of two and loves to takes advantage of all the opportunities that living in such a beautiful environment offers. Recognising that successful business relationships are paramount to achieving winning results, Claire chooses to focus on transparent communication. Employing a direct approach to the facts ensures that clients are well-informed and can take confidence that their property is in the hands of someone who is passionate, caring and committed. Blending sharp customer service and administration skills together with a profound knowledge of the property market on the Hibiscus Coast, Claire is determined to maximise the value of her client’s assets. Claire loves the beach lifestyle and can often be found walking her dogs on one of the many beaches that this area has to offer or cruising around the Hauraki Gulf with her family. Claire has a vested interest in the local Whangaparaoa community, with both her boys attending local colleges. Focused, well-informed and highly skilled, Claire Gallagher is certainly a salesperson you want on your side, for an appraisal on your property, or to discuss the market further, she welcomes your call! Daniel is an Award Winning Agent who offers an exceptional service and strives for perfection and results. His passion for people and Whangaparaoa really shines and clients love his easy going yet professional nature. Knowing how to succeed, Daniel has previously built and sold his own company from scratch making it highly visible online and one of the top contenders in the Auckland Market. Living on the Hibiscus Coast with his family, if he’s not out selling real estate you will most likely find him relaxing at Whangaparaoa Golf Club playing a few rounds with friends and family. With the backing of the advanced technology offered by the successful Harcourts Group and an experienced team behind him, coupled with someone that expects results and is dedicated to getting them, makes Daniel the perfect choice for you to sell or buy your dream home. Introducing Karen Franklin... One of the first things likely to strike you when you first meet Karen is her warm smile, closely followed by her energy, knowledge and refreshing honesty. These qualities along with great negotiating skills, an ability to ‘think outside the box’ in order to bring a deal together and integrity have resulted in her past and continuing successes. Constant referrals and endorsements from scores of satisfied clients and aligned industry professionals are testament to this. 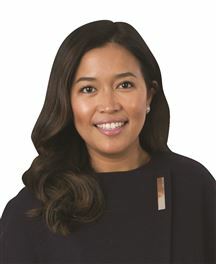 In a career that began in 2002 in the commercial real estate sector, encompassing the leasing and selling of commercial properties as well as the challenging area of business sales, the scene was set for a long and successful career. It was requests from her commercial clients to help them or family in the residential sector that led Karen to add this sector to her portfolio of services and it was no surprise to those that know Karen that she has made a success of this sector as well. Whether you are an organisation looking for a professional to help with a large-scale sell-down, or an individual, Karen's service to you will be the same. One of the highlights of her career was being selected by the Catholic Diocese of Auckland to sell their Silverdale subdivision - a reference both about the rigorous selection process and the results delivered (see under 'Testimonials' on Karen's website, karenfranklin.co.nz). These days Karen’s time is spent almost entirely in the residential sector and she is at the top of her game. •	#1 Harcourts Salesperson on the Hibiscus Coast for 5 years running •	#1 Harcourts Salesperson in the Rodney area for 3 years running •	Top 1% Harcourts International for several years So how can someone stay at the top of their game consistently? Balance between work and down time is a key along with a great support network led by Nigel Varey – Karen’s ‘rock’ as she describes him. So, if you’re looking to buy or sell … it’s best to use a well-known and trusted performer. Call Karen anytime. The key ingredient to Karen’s success - the personal touch.... Described by their clients as “very honest and straight up people” and “true professionals who are genuinely interested in our family, personal circumstance and what we were trying to achieve” - If you're looking for an extremely personable, comforting and non-pretentious buying/selling experience, there's simply no other option than Karen and Allan Taylor. For Karen, Real Estate is not only her career but her lifestyle and something she is immensely passionate about. Having actively listed and sold real estate on the Hibiscus Coast since 1990, she has a deep understanding of the housing market in the Hibiscus Coast region and has built an extensive network and trusted database of both local and overseas purchasers, which has not only generated her a lot of repeat business but also great friendships in the process. Her proven record through all kinds of market conditions as well as having an excellent Auction success rate has seen her consistently achieving Harcourt's Auckland Regional awards and she constantly features in the top 10 for Tandem Realty Ltd. After more than 25 years of selling, she still gets a thrill out of it, especially when someone comes back to her time and time again. She is well organised, always punctual, communicating quickly and effectively and pays attention to the little details. Every year Karen up skills her marketing and negotiation skills and is committed to a high level of knowledge and service. In 2005 Karen was joined by her husband Allan and together they pride themselves on being renowned for their business and people skills, being good listeners and having the ability to interpret what people really need and want. They are great supporters of the community in which they live, work and play, sponsoring local clubs and charities and encourage you to come live on the beautiful Hibiscus Coast and discover this magical little corner of the world. Having the background of a coaching and personal training business, Kaz has always been widely respected for his determination to assist clients in reaching their goals. This has given Kaz the necessary discipline and drive to know how to work hard for successful results. Kaz now brings these skills to his real estate career where working with the Harcourts Group is sure to be an asset for his clients whether that be buying or selling real estate. A local resident with a young family, Kaz enjoys keeping fit and fishing out on the coast in his spare time. If you are looking to make a real estate transaction or require a market update on your property; contact Kaz to help achieve your results. The satisfaction Kaz gets when helping clients achieve their real estate goals is priceless! New Zealand born Lane has lived in the Whangaparaoa area for the past 10 years giving him an edge when it comes to local knowledge. It was after a 25 plus year career in the digital print industry, Lane decided to pursue his passion and become a Sales & Marketing consultant for Harcourts Real Estate at the Whangaparaoa branch. It is here that Lane has entered the real estate market with enthusiasm and a desire to succeed which will see him deliver a high level of service to his clients. Lane has experience in many aspects of the property market from home ownership, property investment and several renovation projects. Along with previous management roles Lane is equipped with strong interpersonal and customer service skills and his friendly nature will have you feeling welcome and at ease throughout your buying or selling experience. Lane is a proud father of two fine young teenage children, and loves watching them play their chosen sports at every opportunity he can get. Lane also enjoys getting on the field from time to time, even though his children communicate often, we have no sympathy for you Dad, and you are too old and shouldn’t be playing sports. That only drives Lane to show them anything is possible and if you set your own goals you can achieve. Whether you are selling, buying or simply after advice on the local property market Lane is more than happy to assist and answer any questions you have. Melanie has been helping clients secure the house of their dreams for over 20 years in her role as a lender for one of New Zealand’s top financial banking institutions. She has a genuine interest in her clients and is passionate about helping them. Melanie has brought that passion and commitment with her to Harcourts. 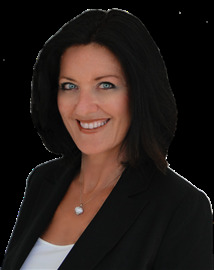 Melanie lives locally and loves the Hibiscus Coast and the wonderful lifestyle it offers. Her honesty, integrity and enthusiasm are the values she lives by. For your Real Estate needs or just a chat then just give her a call she would love to hear from you. You will find Melanie’s knowledge and experiences are invaluable. My name is Olga Grinkevich and i was born in Russia. I started my career in Russia after graduation from the University of Law. Here I worked as a lawyer for ten years as a Manager of Law for Inland Revenue. I came to New Zealand 8 years ago and have lived in Gulf Harbour for the past 4 years. I have a lovely son, he is 7 years old and enjoys playing sport. I have chosen Real Estate as a career as I see it as an opportunity to utilize my natural communication skills and positive attitude and passion for working with people. When working with me you will find that I am a very positive, honest person with lots of energy. My motivation and goal orientated personality means I will be dedicated to delivering you top results ! No stranger to hard work, I believe that I am well equipped with skills to help you move from your current home to the next! If you are looking at buying or selling your property and would like an honest and reliable service, delivered in a friendly manner, with a personal touch, please give me a call today! Sukh is a very enthusiastic, hardworking and committed salesperson with a strong passion towards real estate. Having built his own house from scratch in Millwater, Sukh can deeply relate to people’s emotions and sentiments when it comes to selling or buying a property. Sukh has a background in hospitality/customer service and fitness training. He started working in hospitality industry when he was back in high school and has over 10 years’ experience. Sukh is also a certified Personal trainer and loves going to the gym. He has worked closely with people from all walks of life such as general fitness, weight loss, strength and hypertrophy training and nutritional guidance. Sukh has great listening and communication skills and prides himself in being honest, approachable, trustworthy and has a positive attitude. Buying or selling a house is a very big step for everybody and you deserve an agent who is motivated, professional, trustworthy and dedicated towards his work. Sukh is always happy to go the extra mile and is someone you can always rely on. So think no further, pick up the phone and call SUKH right now on 0210463664!! Andy brings a wealth of systems and admin experience to our fast-paced Tandem team fitting in perfectly at our top performing Whangaparaoa office. Andy brings with him extreme enthusiasm and a positive personality. A published author with three books on computers and the internet to his credit, Andy thrives on the demands of his challenging and varied role as office administrator. An accomplished musician, Andy has performed extensively at International Festivals throughout Scandinavia, Europe and the South Pacific. What's The Chance Of This? Auction this Wednesday at 1pm! This Won't Last - Be Quick! !